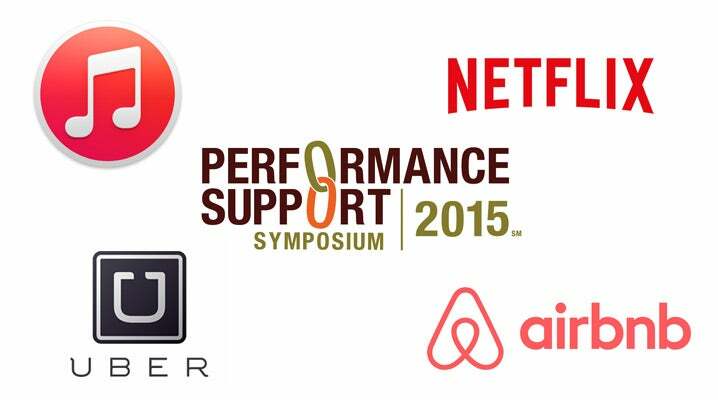 This week, the Axonify team is at the Performance Support Symposium in Austin Texas. As I’ve been attending various sessions, I’ve been doing some thinking about the impact of technology on learning. Yet, historically, technological advancements have not transformed learning and development. While new technologies have changed the way organizations can deliver and consume content (i.e. video, digital, mobile, etc. ), they have not radically altered the way they provide training. For the most part, organizations continue to focus on classroom or course type training offerings with no post-training support on the job… until now. Technology is beginning to change how workers learn and receive the support they need to perform their roles. Evidence of this initial movement is clear at the Performance Support Symposium this week. Here, the buzz is all around—you guessed it—Performance Support. Although Performance Support has been around for a long time, with advances in technology, the ability to support performance on the job has increased exponentially. The time is now for radical disruption in the learning and development space. In the past, this moment may have gone by unnoticed and organizations would have continued to march on as usual. But, in this day and age, if organizations ignore this moment, they do so at their own peril. Competition is fierce and fast and results and failures are felt immediately. This world demands that we turn our attention to the business and deliver the support employees need to, not only be successful at their work, but to also sustain that success in a constantly evolving work environment. The exciting part is, with today’s technological advancements, this is now an option. Online learning (LMS), classroom training, video coaching and more are all important avenues for formal learning, but if this is all organizations do to support learning, then this approach is only half-way there. When it comes to performance on the job—performance at the time of need—the chance for employees to stumble is high, unless supporting elements are in place right then, right there. The employee consumes what the organization has identified as critical information for them to be able to perform and be successful on the job and in the work place. The employee, directed by their own motive or reason for learning, access specific information, exactly when they need it. By adopting technological advancements and changing the learning focus from just a push learning environment within the organization to a more continuous learning cycle of both push and pull, a learning environment is created that provides employees with both the learning and the support they need for job success. And just as iTunes and Uber have enhanced our experience with music and transportation, learners are ready and eager to embrace changes in technology that will help them perform better on the job.